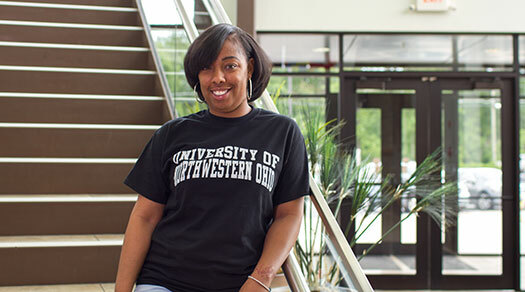 If you want to pursue a career in High Performance Motorsports, no matter what you prefer, oval track racing, drag strip racing, road racing, off-road racing, or tractor pulling, then the University of Northwestern Ohio is where your future begins. The level of professionalism required by race teams, performance machine shops, and sanctioning bodies is at an all-time high. 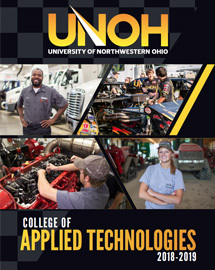 The UNOH College of Applied Technologies' High Performance Motorsports program’s reputation for producing highly-educated graduates means your diploma, associate, or bachelor degree will give you a distinct advantage in a competitive workplace. We’re serious about racing and dedicated to your success. It all begins with professional training on the same equipment being used in the best facilities in America. In 1992 we were the first high performance/motorsports program in the country and in 2006, we took motorsports education to a new level. Our seven acre, Dr. Jeffrey A. Jarvis high performance motorsports complex is the only one of its kind in the world. Inside you’ll find cutting-edge technology and equipment dedicated to learning the science of high performance vehicles. Outside, we have a test facility unlike any other which includes a drag strip style launch pad, a skid pad to test lateral G-Forces, and an off-road course to test your 4x4’s strength. Each of our instructors brings real world experience to the classroom from years in the field. Plus, they share the same passion for racing as our students. You’ll have many opportunities to get involved in racing at UNOH. Our training vehicles and state-of-the-art equipment will give you all the hands-on experience you need to give you an advantage when entering into the work force. In addition, our Career Services Department has contacts throughout the high performance industry and has launched careers for students with high performance race teams, manufacturers and shops. Regardless of your motorsports interest, you can get the best high performance education at the University of Northwestern Ohio. *Percentages are based on surveys of our 2013-2015 academic year high performance motorsports associate degree graduates who reported they are employed or are continuing their education within 6 months of graduation from the University of Northwestern Ohio. There was a 78% response rate to this survey.